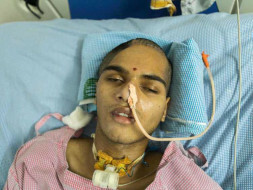 For two months now, Naveen (18) has been lying motionless on a hospital bed. All his parents long for is for him to open his eyes. They talk to him all day, hoping that maybe something will trigger a response, but they’re met with a deafening, heartbreaking silence. A near-fatal road accident has left Naveen fighting for every breath, and he needs an urgent surgery to survive, otherwise, he might never wake up again. 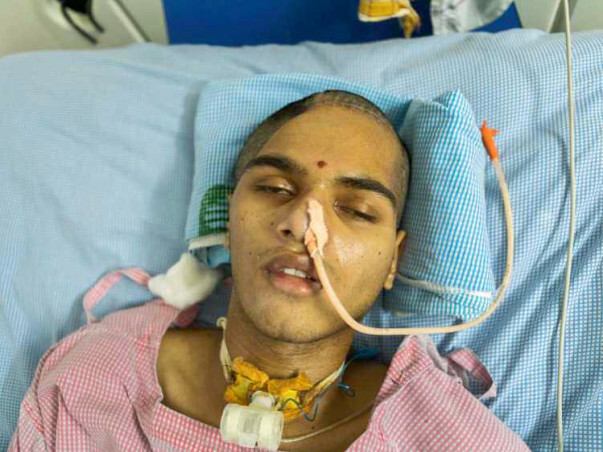 On 30 March at 1:40 am, Yella Reddy received a phone call that changed his family’s life forever. When he and his wife rushed to the hospital to see their son, they never expected him to be bleeding from his head and on the brink of death. 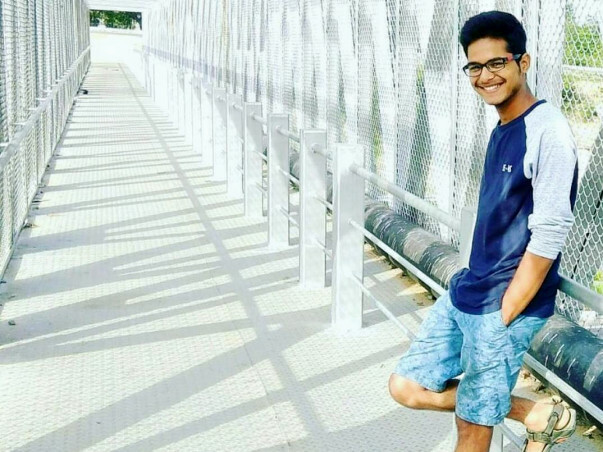 Naveen, a college student, met with a serious accident when he was trying to avoid an oncoming vehicle. 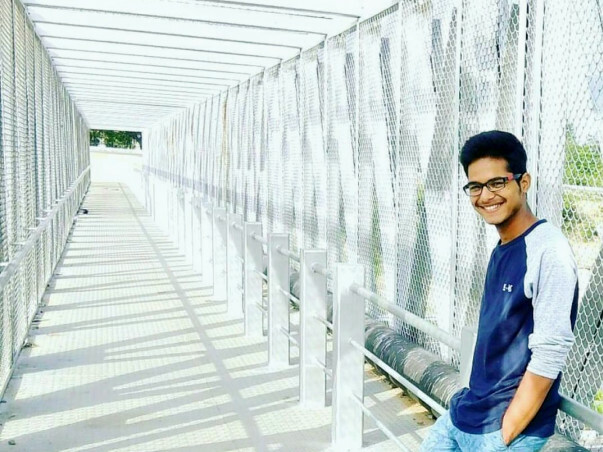 His bike fell and he hit his head on the divider, leaving him bleeding profusely and in grave danger. 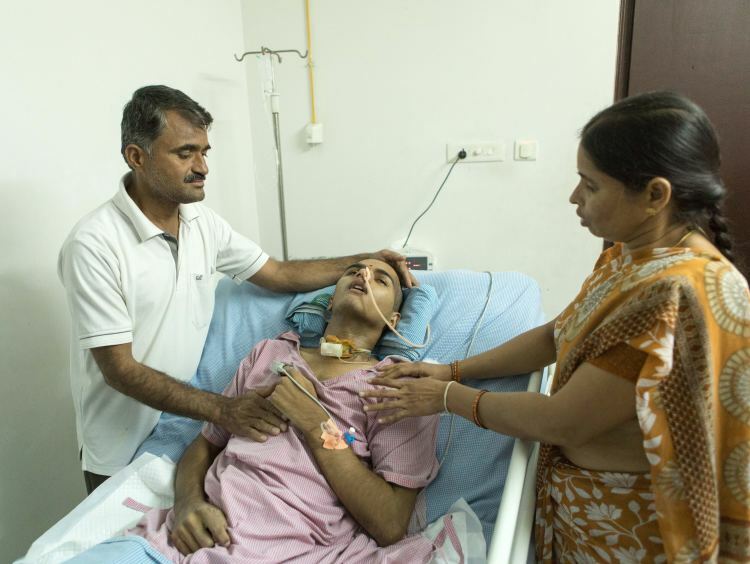 Naveen already had one surgery to remove the clots in his bran in the past two months. A part of his fractured skull has also been removed. However, due to the accumulation of fluid in his brain, he needs surgery at the earliest. He also requires a cranioplasty to correct the defect in the skull. If left untreated, it could cause permanent damage. 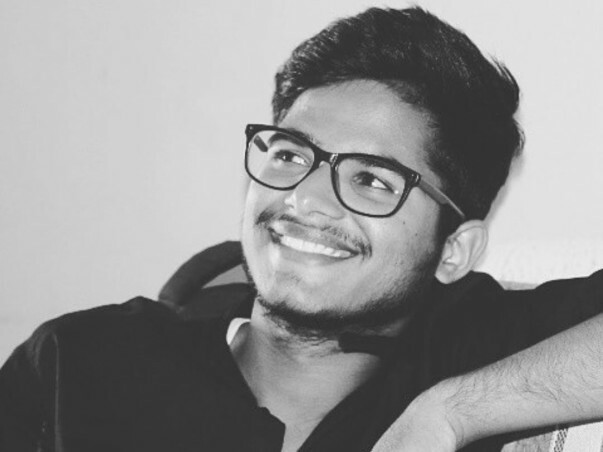 Yella Reddy reluctantly drags himself to his stationery shop in Hyderabad every morning, while his thoughts are only with his 18-year-old son in the hospital. He’s frantically saving every rupee he can for his son’s treatment, but he's severely falling short. The hospital expenses in the last two months have exceeded so much that he struggles to even keep count anymore. Nothing is greater than their son’s recovery for these devastated parents, but they’re helpless after spending nearly 12 lakhs on his treatment so far. 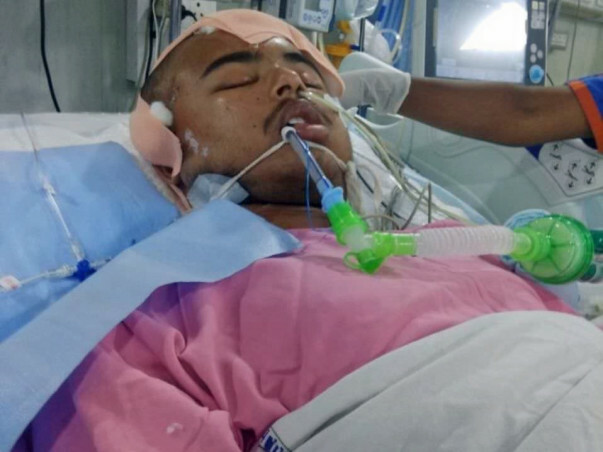 Naveen needs an urgent surgery to remove the fluid collection from his brain and to correct the injury in his skull. If left untreated, it could turn fatal and all of Naveen’s progress so far will be in vain. His parents have no way to afford the surgery and can only pray for a miracle. They desperately need your help to save their son. 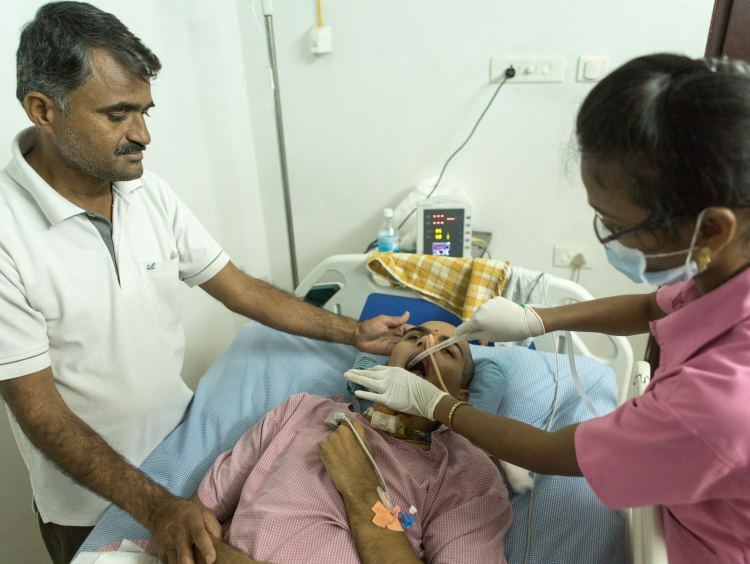 Naveen has gone surgery for cranioplasty and he would be kept in observation for a month. 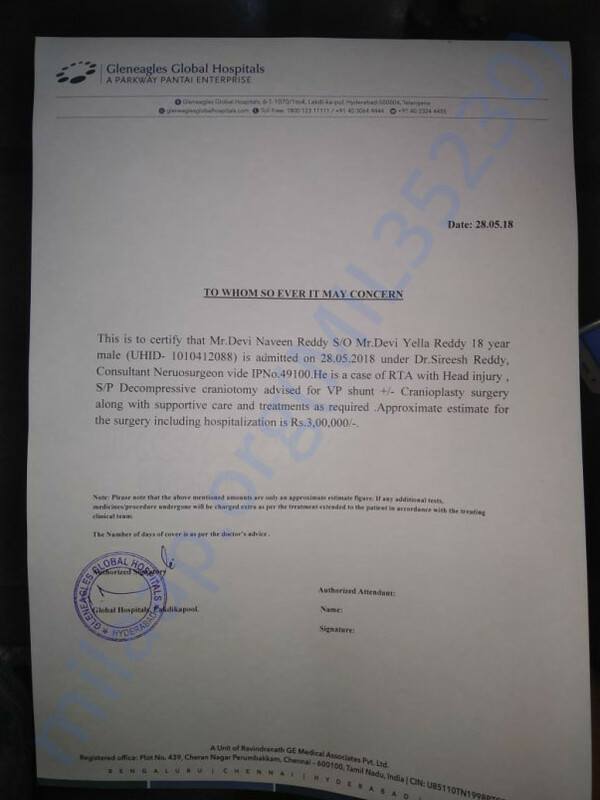 One more surgery might be required after a month for changing the shunt as stated by Doctor. Please do pray for his health and speedy recovery. Will keep you posted about his health. I'm grateful that you all helped me alot for my brother's surgery. 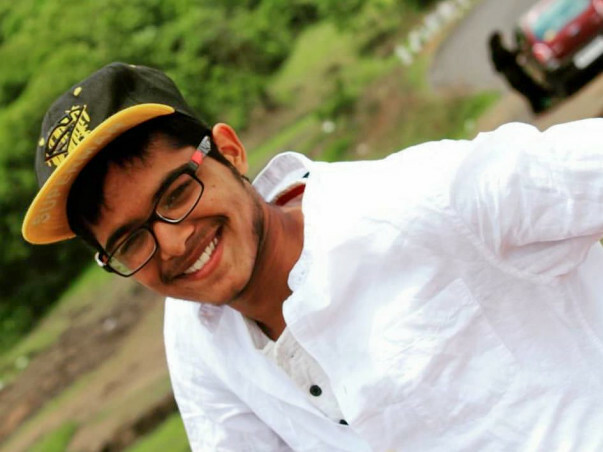 All these days we took care of him at home and were able to manage his expenses by the help of our relatives. 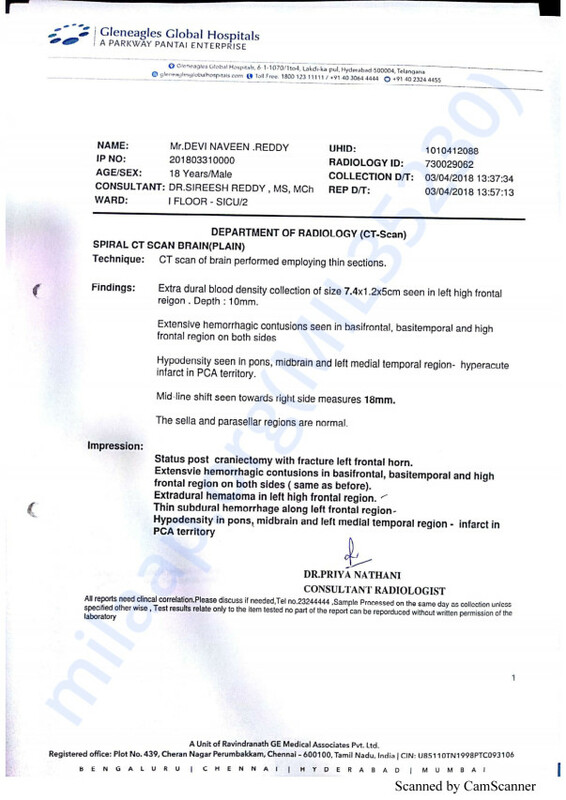 Doctor was like it will take around 2years for his improvement.But now he is struggling for his life again as pressure is increasing in his brain which is leading to spasms(tightening his muscles which is a negative sign) and his condition is getting worse day by day. 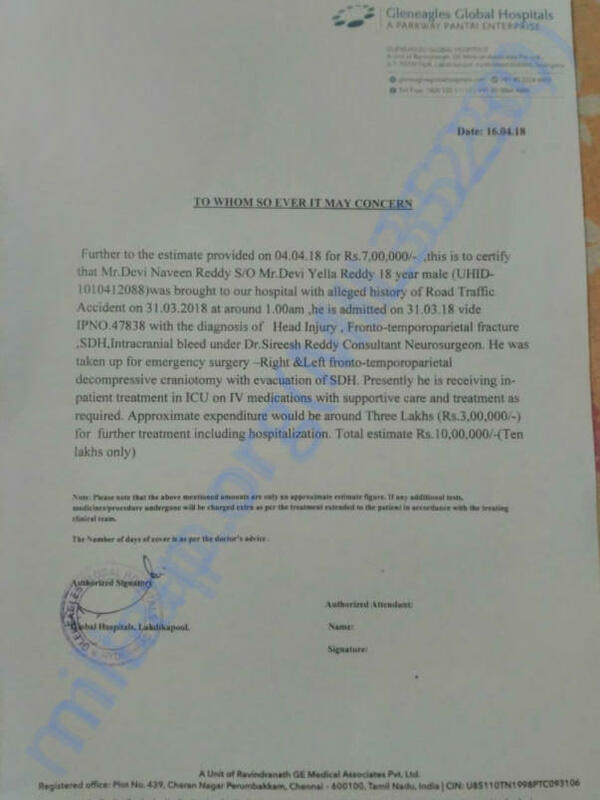 Doctor informed us that the water in the brain is getting drained in more quantity through vp shunt than required and it is causing pressure in his brain.He has given us only two choices either to loose hopes or to get him operated to block the shunt and put him under observation.I request you all to donate as much as you can and inform your friends and family to help. 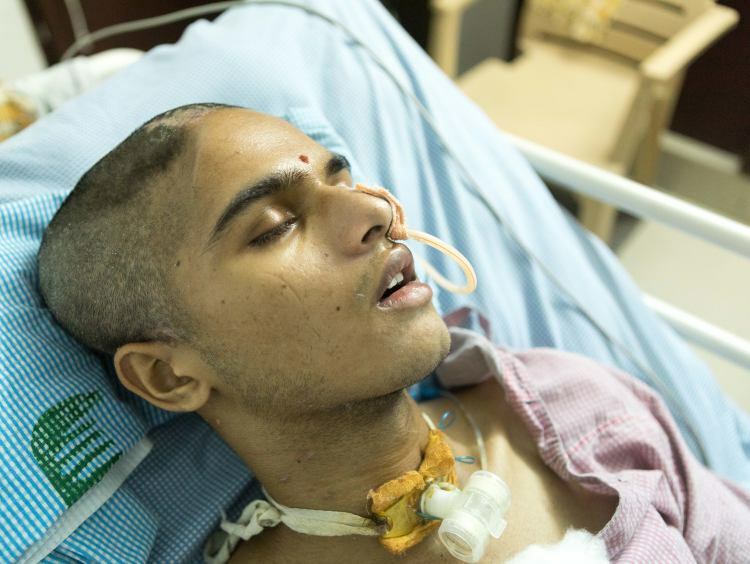 Now Naveen has undergone surgery and shunt has been placed in his brain to drain out CSF. After surgery he is doing good. We got him discharged and he is recovering slowly. His senses are improving day by day. We are still feeding him through rice tube and doctor has informed us that they are going to remove tracheostomy tube after one month. Daily he is undergoing physiotherapy sessions which is the most important one for him. Thanks for all your prayers. Hoping his speedy recovery.